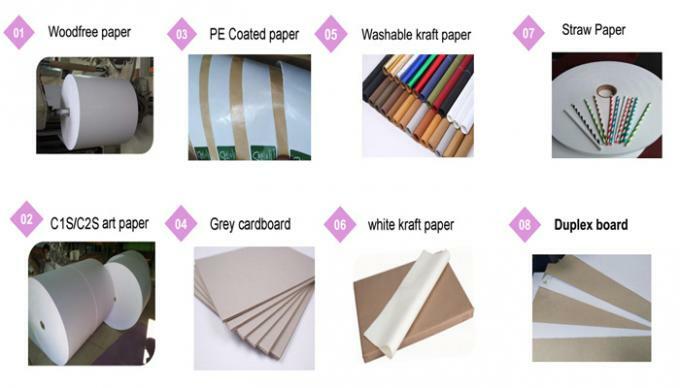 rolls packing Kraft paper/Film wrapped outside on strong wooden pallets or without pallets. 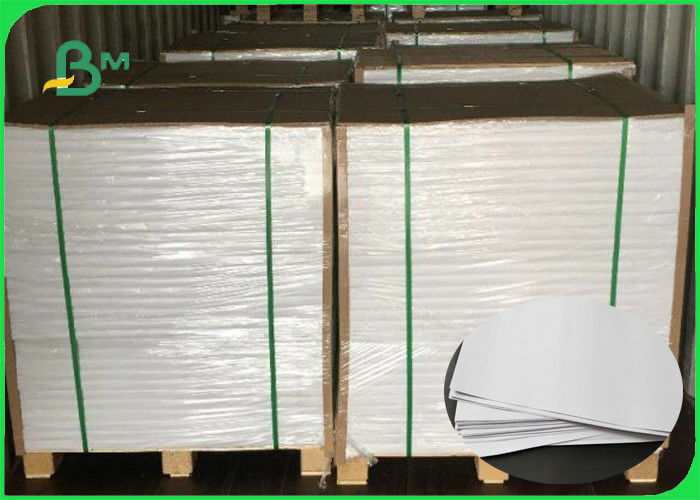 ream packing 100 sheets per ream wrapped with PE Coated Kraft Paper and film on strong wooden pallets with four angle protector. 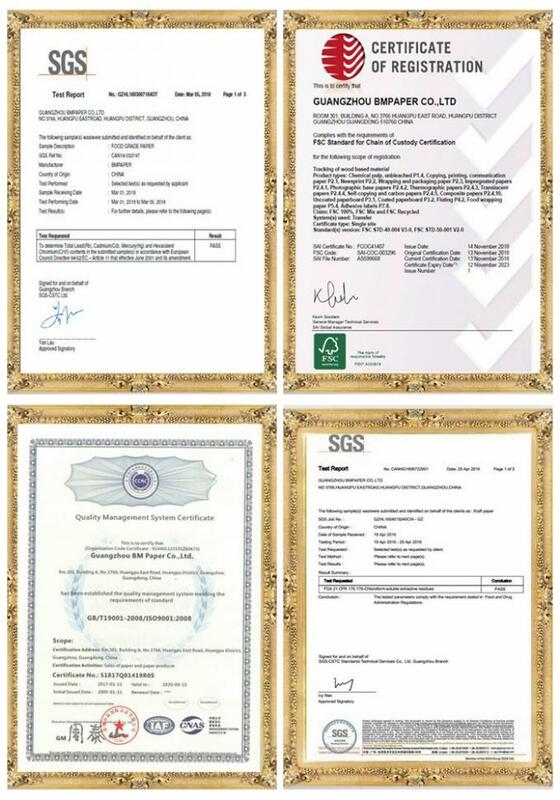 The paper in our company are received some certifications, like ISO 9001 14001, SGS, FSC. have two 4 layer laminated machines and die-cutting machine. ► MOQ: 1 ton for standard size, 20 tons for customize size. 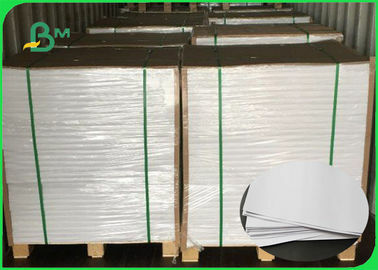 ► Samples normally takes 1-2 days,For special Size and Thickness, it will take 2-3 days.